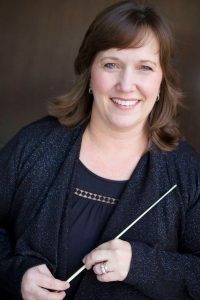 BMus Ed, BMus Therapy, MMusEd with advanced degrees from East Carolina University, Peabody Preparatory, and the prestigious Tanglewood Institute, Mrs. Milne brings a love of music to her students. She has been a music educator for more than 30 years. Under her direction, choirs and instrumental ensembles consistently received superior ratings in competitions. A former homeschool mom of three, she keeps busy teaching K-12 music and band at two local private schools, music directing for several theaters in the tri-state area, and acting as choir director and organist at her home church in Bellmawr, NJ. We Rehearse every Monday afternoon. Please look at the PDF schedule. Recorder Ensemble I is for students 9-10 years old. This class provides an introduction to basic music theory, ensemble playing, and general music education. It’s a great way for young students to get their “feet wet” playing alongside other students of similar age. Plus the recorder is a very affordable first instrument! Students enjoy their first performances in the Winter and Spring concerts. Recorder Ensemble II is for students who’ve completed at least one year of Recorder Ensemble I. Students will focus on developing their proficiency on the recorder so that they will easily transfer to a woodwind, brass or percussion band instrument when they’re ready. No experience necessary! Students as young as 11 years of age are enthusiastically instructed from square one, helping them develop their fledgling music abilities playing their very own woodwind, brass, or percussion instrument. Private lessons are helpful, but not necessary. With a years’ worth of experience under their belts, Cadet Band students are ready to step it up with more challenging music. They continue to gain performance experience playing in both the Winter and Spring concerts.